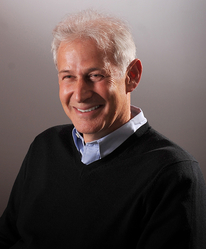 Jack P. Shonkoff, M.D. is the Julius B. Richmond FAMRI Professor of Child Health and Development at the Harvard T.H. Chan School of Public Health and Harvard Graduate School of Education; Professor of Pediatrics at Harvard Medical School and Boston Children’s Hospital; and Director of the Center on the Developing Child at Harvard University. He currently chairs the National Scientific Council on the Developing Child, whose mission is to bring credible science to bear on public policy affecting children and families, and The JPB Research Network on Toxic Stress. In 2011, he launched Frontiers of Innovation, a multi-sector R&D platform committed to achieving breakthrough outcomes at scale for young children facing adversity. Dr. Shonkoff was interviewed by filmmaker Roger Weisberg about the innovations in research around developing ways of measuring toxic stress in Weisberg’s documentary Broken Places, which will be previewed at the National ACEs Conference. That interview was the impetus for the following conversation. Laurie Udesky: Where is the science now in our ability to measure and differentiate children with ACEs who are more sensitive to adversity from those who are less so? Dr. Jack Shonkoff: It’s very close; the measurement battery we’re working on is no more than a couple of years away from being ready to start being used widely in pediatric settings. has to be unimpeachable and completely credible in terms of the rigor of the science, but assuring the scientific validity of the measures is nowhere near the completion of the task. Will these measures be used correctly? Will they be interpreted correctly? And will pediatricians be able to use them in an efficient and constructive way and be able to communicate to parents what they mean? And will parents value this information as opposed to feeling stigmatized and vulnerable, feeling like they’re part of some experiment? The practical feasibility and the extent to which the measures are empowering for parents and pediatricians has to be iron clad to assure that they are not misused. Any time we have any measurement that addresses issues of stress effects and risks for problems down the road, there’s always the danger that they will be misused or misinterpreted. That’s why they’re not ready to use today. Udesky: Are you able to share what’s in the battery? Shonkoff: There’s nothing specific to share right now. We’re still developing a number of things that are in the battery. I am happy to tell you what’s in it generally and the thinking behind it. The battery includes both biological measures and behavioral measures. The biological measures are things that you can measure in saliva, urine, hair, and blood—all of which represent different dimensions of stress activation. Some are measures of stress hormones. Some are measures of inflammation. Some are measures of metabolic changes. Others include measures of oxidative stress, an “epigenetic clock,” and epigenetic markers. And then there are behavioral measures. Behavioral measures are measures of functions that we know are mediated by brain circuitry that is particularly affected by toxic stress—by excessive stress activation. So, they are markers of excessive stress in kids who are very young, before you see evidence of significant developmental problems based on a conventional screening test. There are four domains of scientific validation that we’re looking at: The first is how much do we know about how these measures predict stress-related problems down the road? How effective are they in predicting specific risks for heart disease, diabetes, etc.? The second is how valid are they as measures of current stress activation? That’s different from prediction. The third is: How sensitive are they in picking up differential sensitivity to the environment? So, in that case they’re being linked to parent reports of family and community-based sources of stress. And then the last, which may be even more important than the screening function: Do these measures change over time and are they sensitive to intervention effects? Can we use them for children who are showing significant stress responses, so that we are able to see if whatever interventions we’re using are actually reducing the stress effects? Otherwise we’re just labeling kids, we’re not really helping them. ACE screeners, or ACE rating systems provide important information but they don’t tell you anything about individual children. They tell you about the risk factors in their lives, and they tell you about the relative risks for later health problems based on population-level probabilities. If someone has an ACE score of 4 or 5 or 7 or 10, that doesn’t tell you anything about how that individual child is responding to those adverse experiences, which is why we need these new measures. These will be measures of individual differences in response to adversity. Udesky: Where is the science now in terms of how EEG tests are useful in measuring toxic stress? In the documentary Broken Places, for example, a cap that was connected to an EEG was placed on a baby’s head to measure toxic stress? Shonkoff: EEGs are measuring the voltage of electrical activity in the circuits of the brain. What it does is pick up through the cap on the scalp, the electrical activity of the brain. And, depending on the age of the child, you can look at tracings of different wave patterns in the brain and it will give you a measure of their voltage. The reason that’s useful is that children who have been severely neglected, or are living in highly deprived environments, like in a lot of orphanage studies, have delays in development that are often associated with a lower voltage of EEG. It’s a relatively gross, but sensitive measure of brain function. The EEG pattern in a baby experiencing severe neglect could look like a 25-watt lightbulb instead of the normally expected 100-watt lightbulb. It’s not very specific for different parts of the brain in terms of behavioral function, but it tells you whether there’s an overall effect on the development of brain activity. This is currently one part of the battery. It is one useful test. It’s simple to administer and a simple to interpret measure of electrical activity that is associated with the effects of significant deprivation early in life. Udesky: In terms of sampling saliva and urine for stress hormones, obviously there are a lot of changes that can occur in those hormones. Shonkoff: It’s not just about stress hormones. The saliva and the cheek swab are basically looking at markers of epigenetic changes on certain parts of the genome that are associated with stress hormones and inflammatory markers. Stress hormones, particularly cortisol, we measure in hair where it accumulates over a month or so. In urine, we’re measuring oxidative stress, through an assay of isoprostane, which reflects stress effects at the cellular level. So, EEG is measuring the effects of stress at the level of electrical activity in the brain. Hair cortisol measures it in terms of stress hormones, inflammatory markers measure the stress effect as a physiological response in the immune system, and oxidative stress is a measure of stress on cells throughout the body. Isoprostane, which has been measured in adults as a sign of oxidative stress, has never been measured before in very young children So this is a new area that we’re exploring. But the preliminary studies are very encouraging. You can get potentially important information from just a little bit of urine during a routine pediatric checkup. Udesky: How is it telling you that, what is it telling you? Shonkoff: It tells you that there are selected substances that normally should be at a certain level in the blood or the urine. If the level is high, it means it’s excessive. For example, stress hormones are in the blood all the time, but when the stress system is activated the hormone level is up. It’s very similar for key inflammatory markers. When your immune system is resting it’s fine and when it’s activated by threat, injury, or infection, your inflammatory markers go up. Shonkoff: Telomeres are caps at the ends of chromosomes that are actually a marker of aging and stress. Telomeres are a certain length at birth and decrease [in length] as you get older. But toxic stress accelerates the aging process. It also accelerates the shortening of telomeres. All of these examples are variations of one theme, they’re biological measures of the effects of excessive stress activation. Another question we’re wrestling with is: What’s the most efficient and cost-effective way to create a battery of tests that work in pediatric practice settings? The last stage will decide whether we need all of them. There’s no point in measuring 10 things if we have all the information we need by measuring two…in terms of cost, in terms of efficiency, in terms of inconvenience. Udesky: Can these tests be used for adults, too? Are they thinking about their use for adults? Shonkoff: Yes, in fact, several of these tests have already been used in adults. Our pilot testing is focused largely on children under the age of 5, with the additional application of some of the measures with the children’s mothers. Udesky: Is the project educating parents about ACEs science e.g. the link between ACEs and health outcomes; neurobiology, epigenetics, resilience? If so, please provide an example. Shonkoff: Absolutely. Educating parents about the biology of adversity is an essential dimension of our work. This is illustrated by the fact that the core membership of the JPB Network from its inception has included an equal number of scientists, pediatric practitioners, and community leaders (primarily from communities of color). Udesky: You’re working with pediatricians and community leaders. I wonder if you could talk about how feedback from them has helped you fine tune what you’re doing? Shonkoff: While scientists are answering the important validation questions, the pediatricians are answering the following: Is it feasible to collect all this in a busy office with all the other things we have to do? Will the staff do it? Will parents consent? The first question for pediatricians is not will we have a valid measure, but will we use it? Part of the challenge in pediatric practices right now is that pediatricians keep getting bombarded with things they are told they should use as screening tools and many are not using them because they don’t know what to do with the results, or they feel that they’re identifying potential needs, but there are no programs to meet those needs. So, there’s a lot of conflict in pediatric settings about how to fit in all the mandated screening tools and what to do with the results. The question is not just if this is scientifically valid, but will this be helpful in practice? Will it generate information that will change pediatric care and add value in terms of the information that is generated? The preliminary feedback we’re getting is very, very positive. Udesky: Can you give me specifics? What are people saying about some of these tools? Shonkoff: We still have more pilot testing to complete at this point, but I can tell you that we’re learning there is a lot of promise here. But the big challenge is, once we develop these measures, how do you scale it to all pediatricians? Udesky: What about parents, what has been their response? Shonkoff: We have a fantastic group of parent community leaders who were chosen for two reasons: They believe in the potential value of this for their children and, at the same time, they were highly suspicious and very wary of yet another possibility of bringing biological measurement into poor communities, and particularly communities of color, that would be used to stigmatize children and families rather than help them. So, we recruited these community leaders as full partners for exactly that reason. What they have helped us do is first determine how to really assure true informed consent. How do we provide the necessary information about the impacts of excessive stress on children in a way that’s empowering to parents as opposed to just making them more worried about their kids? Udesky: Can you give me an example of some of the feedback? Shonkoff: We’ve moved from how can we explain to parents about why it might be valuable to have this information about their child, to how can we make this a valuable part of routine pediatric care. Just as you get blood tests to screen for anemia or lead exposure, and weighed and measured as part of routine practice. The community leaders in our network have been so invested in this effort that they have expanded the scope of our work together to look at how we can use this project as the leading edge of a broader community education campaign for parents about the impact of excessive stress on young children’s health and development. So, I think one of the things that’s particularly rewarding about this partnership is that it really is a true partnership among equals—community leaders, scientists, and clinicians—and the community leaders aren’t simply an advisory group. They’re full partners. Udesky: Of all of the biomarkers that you’re now evaluating, are there any that are closer in a big picture way to be an effective way of measuring? Shonkoff: No, everything that is in the battery now is there because there’s already a fair amount of evidence that they’re telling us important things. The issue now is cutting back on redundancy and coming up with the most efficient and acceptable package. We’ve pretty much answered the questions about whether the current components of the battery are valid markers of excessive stress or markers of resilience. What we don’t know yet is their differential response to interventions. That has to be tested in a variety of program contexts, not just in pediatric practice. Udesky: What about the behavioral measures? Shonkoff: One that’s potentially very exciting among the behavioral measures—but it’s currently in virgin territory—is eye tracking in very young babies as part of routine pediatric care. Right now, it’s on a computer, but the technology is moving quickly. Soon it will be on a tablet, and not long after that it will probably be available on a smart phone, so eventually we won’t need a lot of fancy equipment for scaling. So basically, you put a two-month-old in front of a screen. There’s a cartoon that goes by with a particular pattern that catches the child’s attention. There’s a camera inside that’s tracking where the child is looking and calculating what that trajectory looks like. And it’s measuring how long it takes from the time you put it in front of the baby that the baby actually focuses its attention on these objects moving across the screen. And once you’ve focused the attention, then you switch the pattern, and ask how long it takes for the baby to realize that the pattern just switched, by reacting to it. So, it’s measuring the ability to focus your attention and keep your attention sustained. There is a lot of evidence that these are early signs of what is clearly an important building block of early learning, healthy development, and resilience. And we’re seeing differences in the ability of a baby to focus and sustain attention correlating with how many stressful experiences the mother is reporting during her pregnancy or shortly after the baby is born, which is very powerful. But the numbers of children are still small at this early stage of testing. It’s one thing to have an ACE score that talks about how many bad things are going on in the family’s life. It’s another thing to have a measure of the child’s attention that is telling you which of the kids who have that ACE score are showing a problem in development and which are not. That distinction is particularly important to get right! Udesky: How do you separate that out from other variables? Shonkoff: That’s why you need to collect a lot of data from large numbers of children before these measures are ready for prime time. That’s exactly the point. You can’t go to scale based on measures of 50 kids. You need large numbers. Shonkoff: There is no single answer. The numbers will vary based on the measure and on findings from pilot analyses, among other factors.